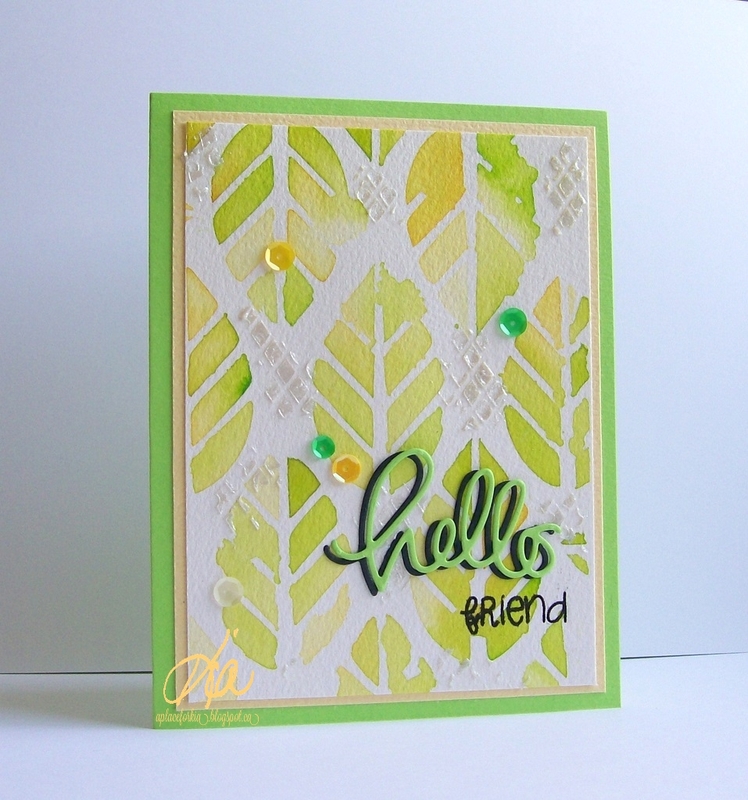 This is a card I did for the Inspiration Challenge yesterday at Splitcoaststampers. I used my leaf stencil and watercoloured using Winsor Newton paints in several colours. Once that was dry I added my embossing paste with another stencil around my card for some texture, then added the hello die cut in the cardstock and shadowed in black and stamped the friend sentiment in black. I added a faint yellow matting and some sequins to finish. Thanks for having a look today. Products: Stamplorations Leaf Stencil, Memory Box Diamond Stencil, Simon Says Stamp Hello Die, Simon Says Stamp Circle Friends Stamp Set, Winsor Newton Watercolour Paints, Sequins. 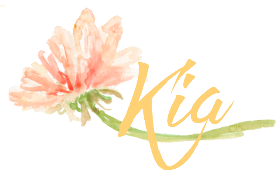 Pretty colors that make for a beautiful summery card Kia. Oh, Kia, what a beautiful card with such a wonderful stencil! I love the texture and the colors! It's gorgeous, my friend! Hugs! so pretty....I just ordered that stencil too, just have to wait for it to get here then find some time to play.